Areas of Expertise: Palestine, Public Opinion, Palestinian State Building, Security Sector Reform, Transition to Democracy in Palestine and the Arab World, Impact of Domestic Palestinian Politics on the Peace Process, and Arab- Israeli Conflict. Khalil Shikaki is a Professor of Political Science, and Director of the Palestinian Center for Policy and Survey Research (Ramallah). He is one of the founders of the Arab Barometer and a member of its steering committee. 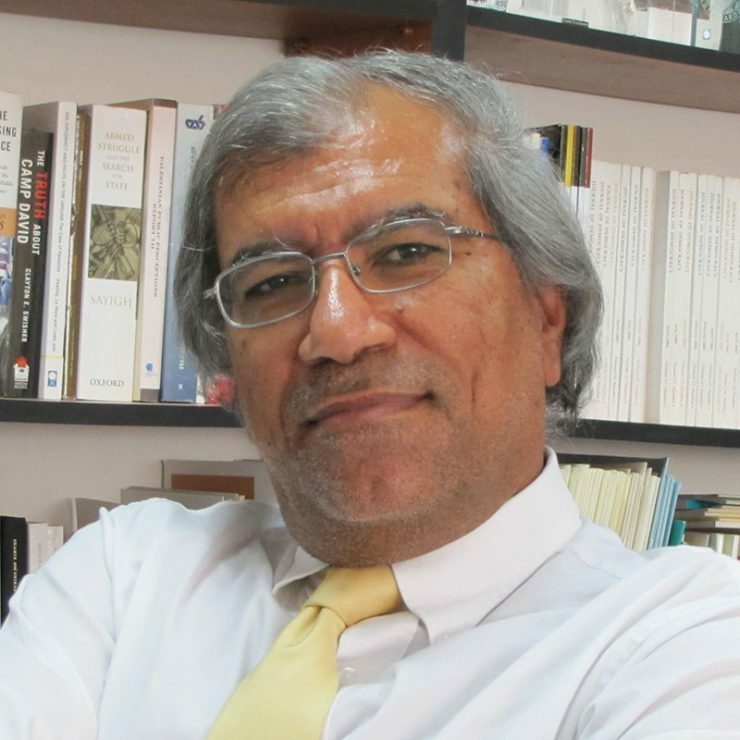 He is also a senior fellow at the Crown Center for Middle East Studies at Brandeis University. Dr. Shikaki finished his Ph.D. from Columbia University in 1985 and taught at several Palestinian and American universities including Bir Zeit University, al-Najah National University, the University of Wisconsin (Milwaukee), the University of South Florida (Tampa), the University of Utah, and the University of Michigan. Since 1993, Dr. Shikaki has conducted more than 200 polls among Palestinians in the West Bank and the Gaza Strip and, since 2000, dozens of joint polls among Palestinians and Israelis. He is the co-author of the annual report of the Arab Democracy Index and the Arab Security Sector Index.